The sign, complete with a smiley face at the end, was soon revealed to be a prank pulled by a Saturday casual going about general duties. It did not take long for his superiors to point out that librarians are not at liberty to re-classify books according to current affairs. Regardless, the prank hit the nail of reality on the head. 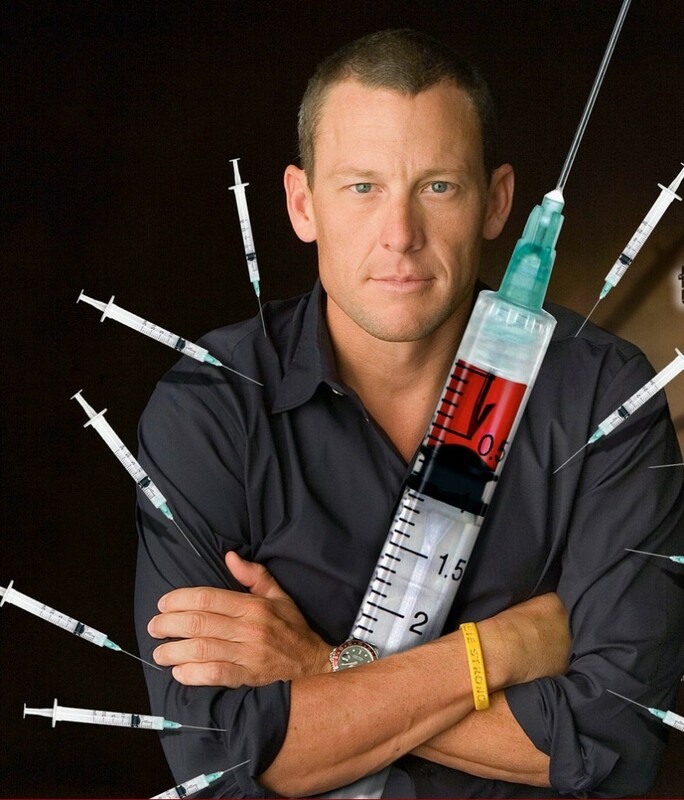 The Lance Armstrong, seven-time Tour de France champion, smugly smiling on our televisions lauded the world over. He was a cancer survivor, humanitarian, and family man but has now turned out to be less a man than a fabrication. Early in January came his admission on Oprah, to an audience of millions, that for the length of his career he has owed his success to performance-enhancing drugs. “It was this mythic, perfect story. And it just wasn’t true,” he said of his high-flying career. Armstrong’s description of his public career as ‘mythic’ is an apt one. Mythic, because it inspired an almost-religious devotion in so many of his admirers. Indeed, there have been few sporting heroes so deified as Armstrong, with a cult to follow him accordingly. The gospels according to his biographers may be safe in the non-fiction section of Manly Library, but in light of his confessions to drug cheating, bullying and deceit, the myth of Lance Armstrong is left with about as much of a leg to stand on as Dianetics. In the words of Eric Hobsbawm, “history is written by the winners,” and Armstrong had done enough winning to perpetuate his own myth until the day he died, or so it seemed. I am not the first to compare professional sport with capitalist society at large. In both instances, the competition for limited resources leads to a hierarchical culture of winners and losers. If one desires to scale the socioeconomic ladder or ascend in the table of international rankings, it’s the end that produces results, not the means. Put another way, a successful career in professional sport, as it is under the capitalist paradigm, is measured ultimately by how often and how much you win. It’s a world of winners and losers, and in the contest for limited resources such as money and status, it’s what you do, not how you do it, that counts in the end. Unless, of course, one gets caught doing something illegal. Mining giants and other tax-evaders should know. Armstrong may have sacrificed his integrity as an athlete to win, but the legendary status with which he was rewarded meant that integrity could always be fabricated later. He almost got away with it, too. Despite the ethos of Australian sporting culture, priding itself on values of ‘mateship’ and a ‘fair go’, it seems that fairness and mutual respect get fairly short shrift amongst some of our most respected citizens. As long as professional sport is about winning, the cheating will continue. After all, we’re talking about athletes, not moral philosophers. Their job is ultimately to win. One wonders what happened to good sports like our Don Bradman. To their credit, however, many of these celebrated sportspeople would make excellent fiction writers. And god knows that few things are more valuable to society than a well-crafted story.